In her provocative book, Brunelleschi's Egg: Nature, Art and Gender in Renaissance Italy, Mary D. Garrard brings an art historical perspective to the transition that was underway during the Renaissance in the idea of nature —the physical universe and its operations — from an organism imbued with a mind or a soul to a "scientific" conception of the world as a machine that lacks intelligence. This transition was accompanied and assisted by the metaphorical equation of nature with the female, lending rational support to the objectification and exploitation of nature. Taking her examples from the works of the major artists of Florence, Rome, and Venice, such as Botticelli, Leonardo, Michelangelo, and Titian, Garrard shows that the elevation of male-dominated visual arts and the idea of art and culture as masculine spheres depended upon the representation of nature as a female Other to be overcome. 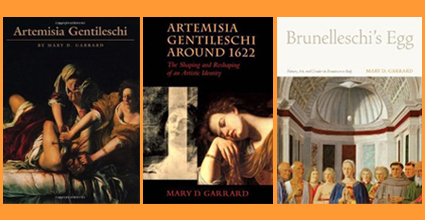 Professor Garrard is best known for her groundbreaking feminist scholarship that has illuminated art of the Italian Renaissance-Baroque period. Her publications include two books and other writings on Artemisia Gentileschi, work that pioneered modern scholarship on a major 17th-century Italian artist. With Norma Broude, she co-edited four books on feminism and art history that have become basic texts in American universities. 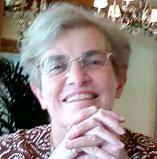 Garrard has lectured extensively on Renaissance art and feminist issues in universities, colleges and museums across the country.